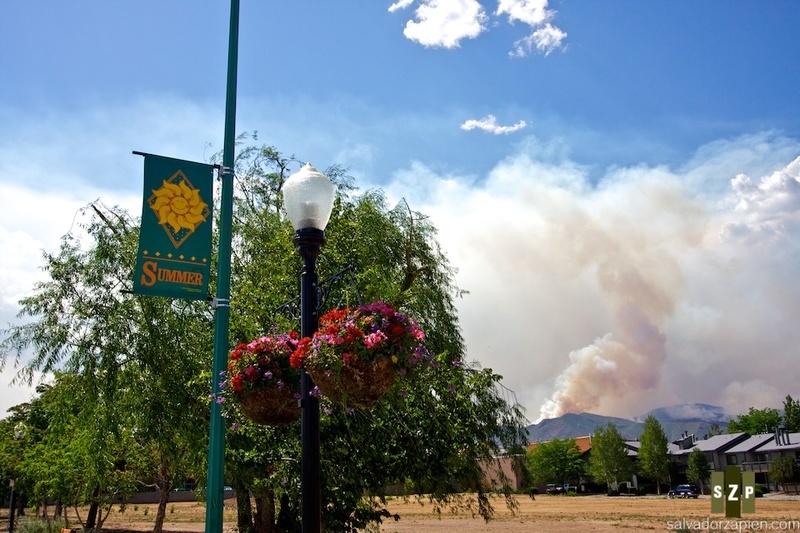 A large plume seen from Ashley Pond in downtown Los Alamos. 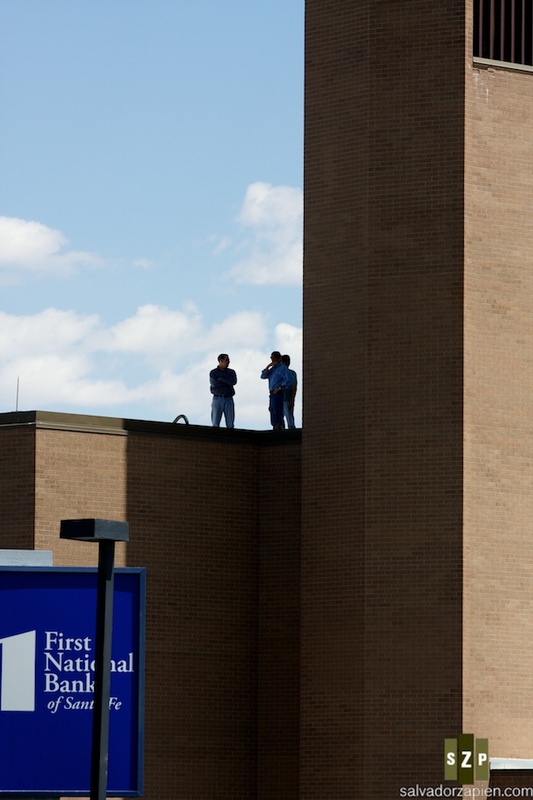 Qwest workers watching the fire from their rooftop. 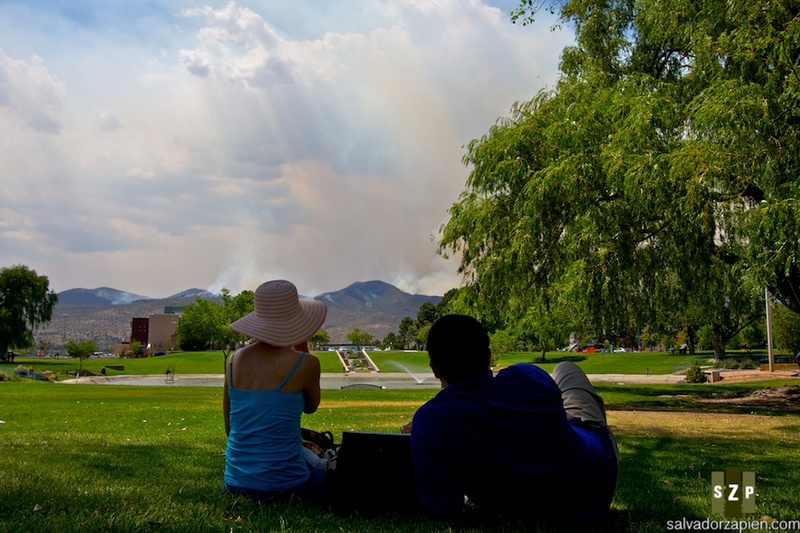 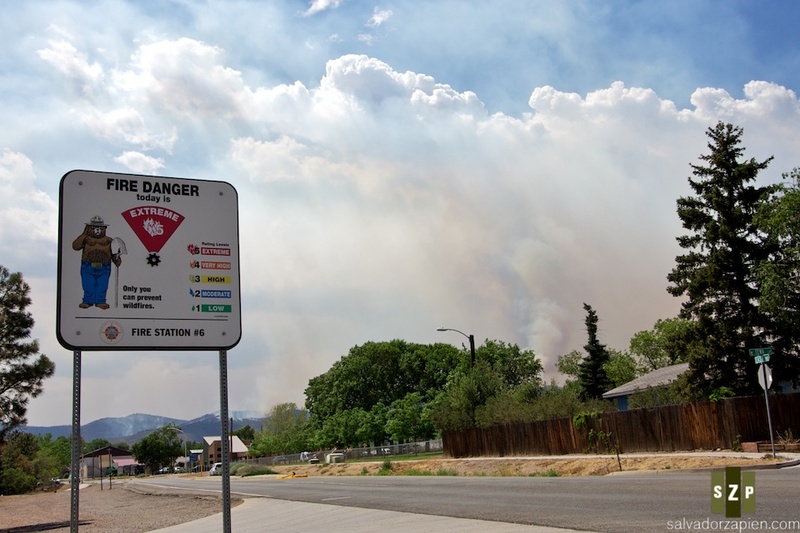 A couple watch the smoke plumes grow while sharing a picnic at Ashley Pond in Los Alamos. 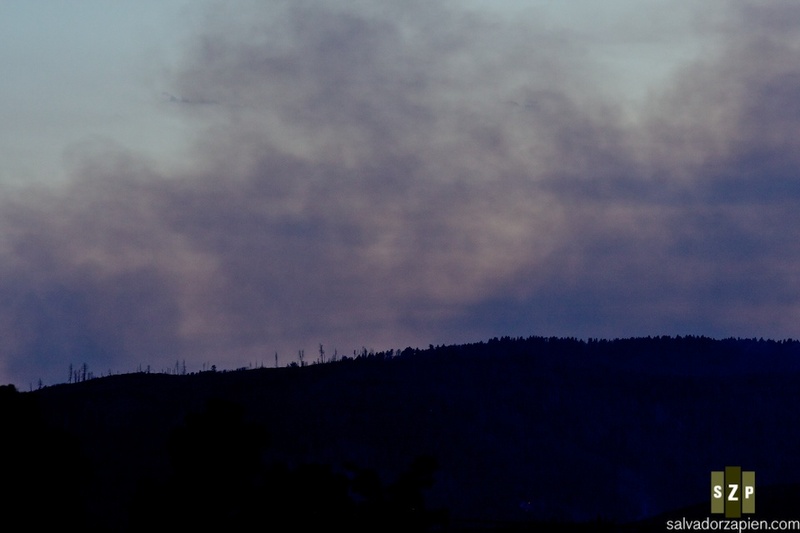 Smoke can still be seen over the hills at sunset. 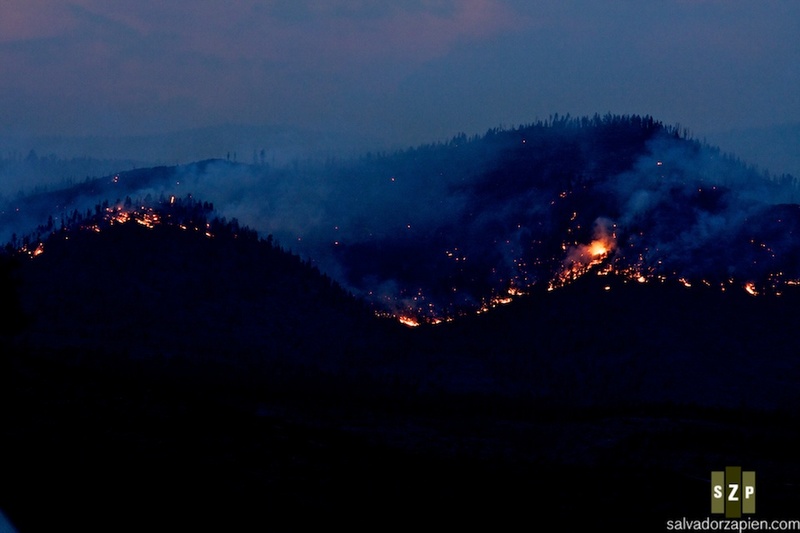 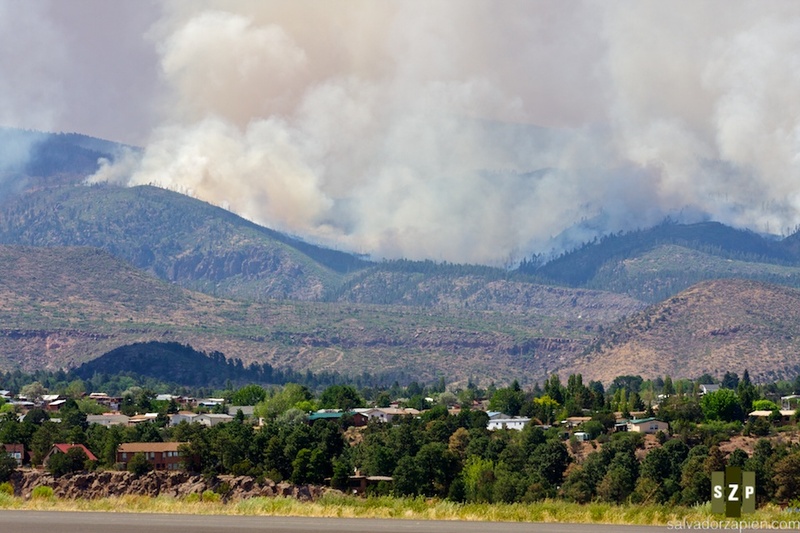 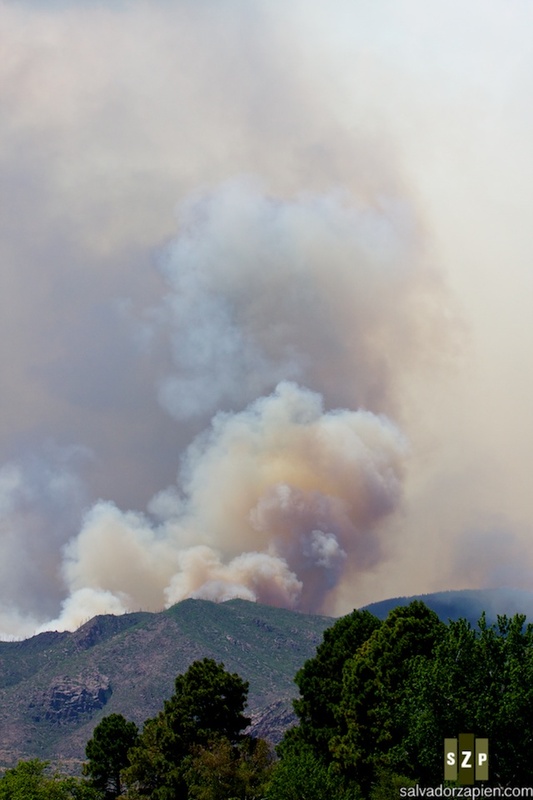 The most visible portion of the fire was from Barranca Mesa. 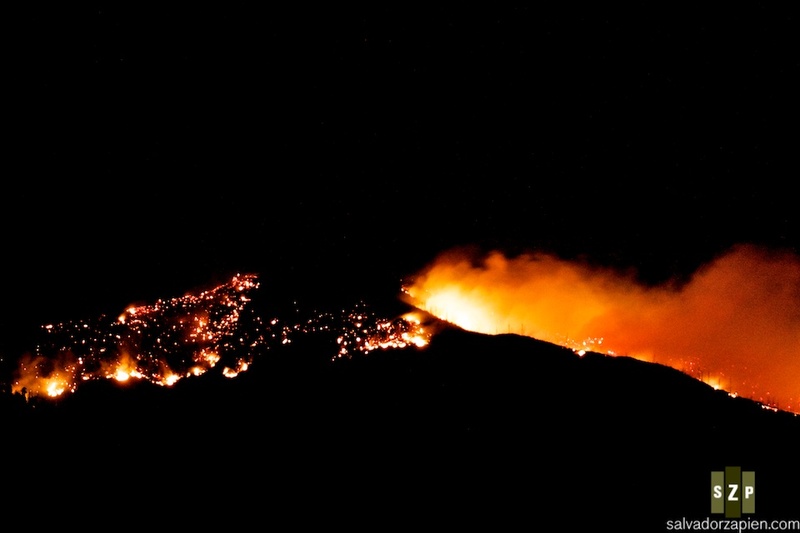 Fire rages north of Barranca Mesa.